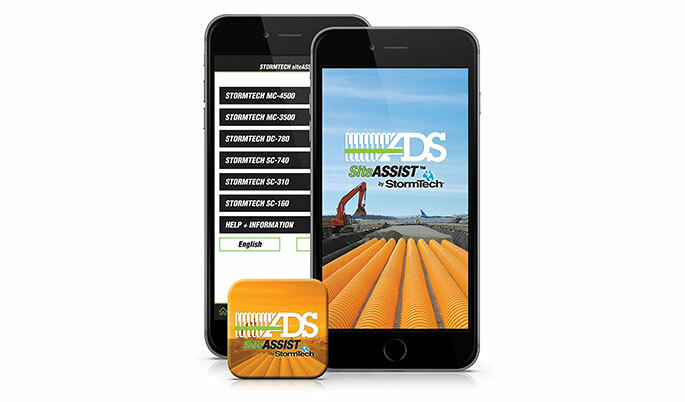 Advanced Drainage Systems, Inc.’s SiteASSIST mobile application provides detailed instructions and animated videos for the installation of StormTech chambers, which are widely used in underground stormwater retention and detention systems. Another beneficial feature is the app’s ability to provide the contractor with easy and efficient access to the ADS and StormTech engineering department. The SiteASSIST app is an animated tutorial handbook with installation instructions. It allows the user to upload images and ask specific questions, which are timely addressed by ADS and StormTech engineering services.